It’s estimated that food waste costs the Australian economy around $20 billion each year, according to the recently released National Food Waste Strategy. The strategy provides a snapshot of the state of the nation’s food waste. Households throw away 3.1 million tonnes of edible food, equivalent to 17,000 grounded 747 jumbo jets. Up to 2.2 million tonnes of food from the commercial and industrial sector is going to waste, resulting in waste disposal charges and product losses. The strategy argues that this has significant impacts on the environment through wasted resources in land, water, energy and fuel to produce and distribute food. Food waste is also detrimental to the environment when disposed of to landfill, through the production of greenhouse gas emissions. 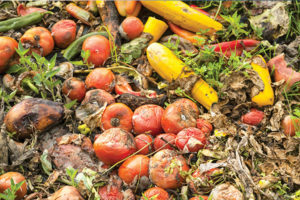 It has taken some years for the strategy to eventuate, as the discussions gathered momentum in 2016, when Australia’s state and territory environment ministers agreed to support the Federal Government’s election commitment to halve the nation’s food waste by 2030. The government then began advancing work on a framework to achieve this goal – a National Food Waste Strategy and a National Food Waste Summit. Months of consultation with industry, academia, the not-for-profit sector and all tiers of government led to the launch of the National Food Waste Report in November 2017. The initiatives highlighted through the strategy will be advanced over the next two years, with $1 million in funding afforded to an independent governance body – Food Innovation Australia Limited (FIAL). FIAL has been selected to develop an implementation plan and establish a voluntary commitment program for industry. In consultation with the Department of the Environment and Energy, a steering committee will be established in early 2018 to provide FIAL with guidance and advice to support the implementation of the strategy. Dr Mirjana Prica, FIAL’s Managing Directory says one of the key roles for FIAL over the next 24 months will be to identify short, medium and long-term outcomes for the delivery of the strategy and how these outcomes will be measured against the 2030 target. To support this, the government has committed $370,000 for two projects – one to help set up a National Food Waste Baseline, which will develop an approach for the measurement of progress against the 50 per cent reduction target, and another to identify the best opportunities for businesses to realise a return on investment in food waste reduction activities. While state, territory and local governments are tasked with managing waste, the National Food Waste Baseline will measure progress for stakeholders to follow. FIAL is working with the Department of the Environment and Energy to establish a steering committee by early 2018. In 2019, the Federal Government plans assess the work being done to ensure ongoing support for its implementation. Food waste is estimated to cost the Australian economy about $20 billion per year. The strategy notes the management of food waste is complex due to the large number of entities engaged in producing, moving, selling, redistributing and disposing of food. 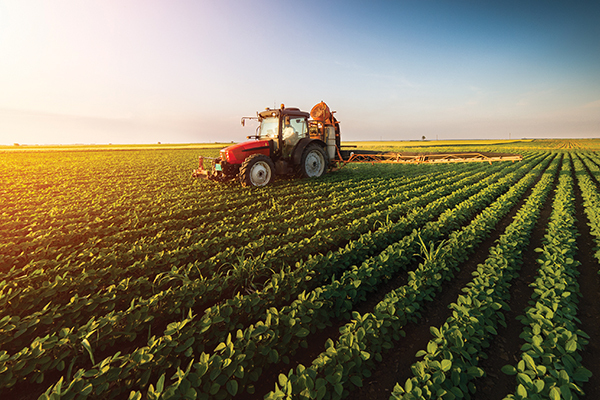 In Australia, the agribusiness industry produces enough food to feed 60 million people, with its $59.1 billion output equivalent to 3.6 per cent of gross domestic product. It identifies four priority areas where improvements can be made: policy support, business improvements, market development and behaviour change. These priorities will be supported by all of the food industry’s relevant stakeholders: governments, industry, business, academia, food rescue organisations and the community. Stakeholders within the supply chain include: processors and manufacturers; distributors; retail; hospitality and food service; and households, which all have a role to play in minimising waste. Numerous benefits can be gleaned from minimising food waste in Australia, including job creation, new products and services and markets. Among the host of benefits is added resources, waste management, lower disposal fees and increased profits. That’s not to mention the flow on to the consumer through potentially lower food bills and better food security for the global economy. In order to make sense of the complex issues at hand, the report adopts a broad and inclusive definition of food waste. This covers solid or liquid food intended for human consumption across the supply chain, thrown away food and food imported and disposed of in Australia. It also encompasses food produced or manufactured for export which remains onshore. Kaelene McLennan, Simplot Corporate Affairs and Sustainability Manager, says innovation around new markets for food waste is a critical part of the solution. “The first step needs to identify what is in those waste streams and gathering data to understand that. The National Food Waste Strategy is helping to identify data which can be used to help create new markets to address the waste issue,” she says. She hopes this work will establish a consistent approach to dealing with food waste for the states and territories to follow. Individual sectors cannot deal with the problem on their own, as this has led to inconsistent approaches in the past, she adds. “Understanding the broader issue of food waste and how it impacts the whole of Australia is important. I haven’t seen a lot of that work being done yet,” Kaelene says. FIAL’s Mirjana agrees a greater alignment is needed between the states and territories on both food waste initiatives and policy. “Legislation is not always the best solution to achieve change and can impose additional burden on business,” she says. Kaelene says a voluntary product stewardship approach, akin to products such as tyres which have been handled through the Product Stewardship Act 2011, would be a step in the right direction. Mirjana also notes FIAL believes it’s important to learn from other voluntary product stewardships such as tyres, along with looking overseas to use these learnings to shape future schemes. Part of the strategy’s priorities is to identify where to target its investment, and one of its plans is for the Federal Government to commission a study which may investigate how fruit or vegetables that do not meet market specifications can be converted into a higher value-added product. Another solution is to establish a voluntary commitment program that requires signatories to commit to reduction in food waste targets, as well as amending legislation to give more incentives to redirect food waste to charities or recycle it. Technological innovations such as better intelligence for farmers and improvements in the way we package food for longer shelf life are also among the host of other priorities. Furthermore, the market development of food waste to energy, organic fertilisers and nutrient extraction is also noted. However, when looking at the figures of food waste’s $20 billion cost to the economy, Kaelene argues more research is needed. “Until we can interrogate that data and really understand what food waste is and where it’s coming from, it’s difficult to estimate. She says she is working with Australia’s largest food relief organisation, Food Bank, to ascertain ways to reduce Simplot’s food waste. One area Simplot is working in is trying to have a better understanding of food fit for consumption. The cost implications of moving food from one area to another is a major barrier. “The biggest challenge for us has been logistics. How do we engage with logistics operators? As a company we have manufacturing sites that are geographically spread out. Kaelene says tax exemptions are one solution that could help the supply chain distribute food before it goes to waste. Simplot has set a target of zero waste to landfill, but has yet to identify when this will be the case, as it is in the early phases of raising awareness. There are also financial implications for creating excess waste and Kaelene says efficiency is critical to the future of Simplot. FIAL is undertaking research with the Department of Environment and Energy to provide further information on supply chain barriers. It will also be working with co-regulatory organisations such as the Australian Packaging Covenant Organisation to improve food distribution outcomes through sustainable packaging. Brooke Donnelly, Australian Packaging Covenant Organisation (APCO) Chief Executive Officer, says out of the four priority areas, business improvement is one where APCO feels it can make the greatest contribution. “Encouraging collaboration to identify a solution is critical. Quite often you will see you don’t have a conversation about food waste unless you talk about how it works with packaging,” Brooke says. She says APCO is trying to understand where food waste fits into the sustainable packaging cycle and where the potential lies to leverage that across the supply chain. At the same time, packaging can increase food waste. An example of this is developing lightweight packaging to minimise material usage. While it reduces waste at the packaging level, it may affect its functionality and reduce food shelf life, which in turn creates additional waste. “I hope we can get to a stage where we understand the leverage points because there are some mutual benefits to be gained in the food supply chain. Otherwise you’ve got this silo effect where one is looking at one part of the chain and they’re not integrating,” Brooke says. Composters could work with the coffee industry, for example, and develop initiatives to recycle used coffee grounds into compost. APCO is also launching a standardised labelling scheme for consumers, called the Australian Recycling Label, which will educate people on how to correctly recycle product packaging after use. It has also developed 13 assessment criteria for sustainable packaging, considering the areas of resource recovery, design, supply chain and end-of-life, which all contribute to a circular economy approach. Brooke says there are about 240 food and beverage companies and nearly 60 manufacturers that are members of APCO – and it hopes to continue to foster collaboration across these sectors to improve environmental outcomes.